Is a domain-specific language better than UML? 1.4 What does MARTE add to UML? 6.2 What is a platform? 8.3 Why use SysML and MARTE together? 12.4 Who should define language extensions? Real-time and embedded software developers, systems engineers; students in real-time and embedded software development courses. President of Malina Software Corp., a Canadian consultancy focusing on the application of model‐based engineering methods and tools in industry. Sebastien Gerard is a CEA LIST senior researcher in software engineering and computer science. He graduated in 1995 from ENSMA (the Superior School of Mechanics and Aeronautics in Poitiers, France) as a mechanical and aeronautics engineer, after which he obtained a doctorate in computer science in 2000. He is currently leading a research team of about 20 engineers at CEA LIST (an arm of the French Atomic Energy Agency, http://www-list.cea.fr/gb/index_gb.htm) within the LISE (Laboratory for Model-based Engineering of real-time and embedded (RT/E) systems). The principal objective of this research of this team is to achieve "correct-by-construction” design of RT/E systems from requirements to implementation”. Through his involvement in a numerous national and international research projects, Dr. Sebastien Gerard has worked with many industrial partners such as Peugeot Citroen, Airbus, ST Microelectronics, EADS, gaining extensive experience and insight into industrial problems and requirements. 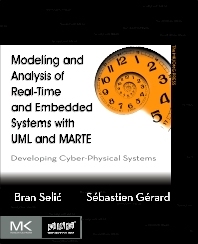 Dr. Sébastien Gérard is also deeply involved in various standardization activities, and is currently co-chairing both the UML 2 and MARTE (the UML extension for RT/E) standardization task forces. He is also core member of the European network of excellence, ArtistDesign (http://www.artist-embedded.org), where he is a prime on issues related to modeling and standardization. In addition, Dr. Sébastien Gérard is a member of the editorial board of the SoSyM journal, co-founder of the summer school on model-based development for DRES (http://www.mdd4dres.info) and a frequent member of program committees of major technical and scientific conferences (MODELS, ECRTS, ISORC, etc. ).